A giant squid was caught on camera in Japan's Toyama Bay on Dec. 24, 2015. 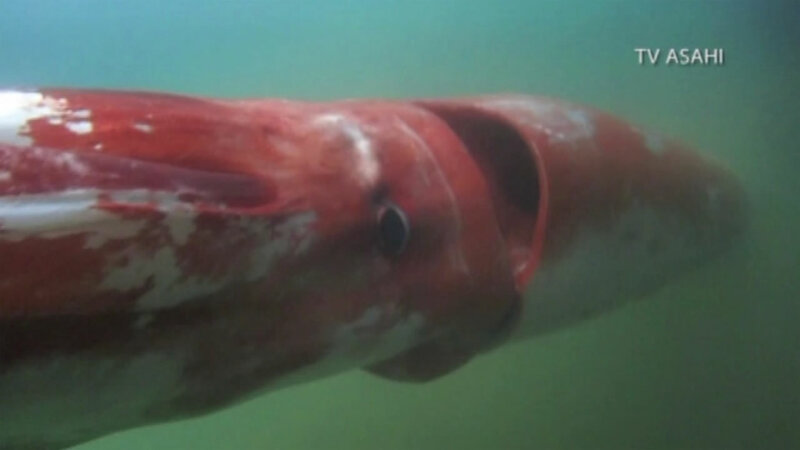 A new video shot by divers captures a rare glimpse of a giant squid swimming in coastal waters. This is the first time a giant squid has been caught on camera since 2004. The squid was seen in Japan's Toyama Bay on Christmas Eve. Normally, the creature is found only in the deep ocean. The diver who shot this video estimated that the squid was nearly 13 feet long. It eventually made its way from the marina back out to sea.